There are some types of clothing that it makes sense to buy cheap. As many of our fashion-forward customers can attest, you wouldn't want to spend a lot of money on a super trendy item that will be tossed aside once it goes out of style in a few months. But when it comes to your workwear, trying to save money by buying cheap garments will ultimately cost you more. 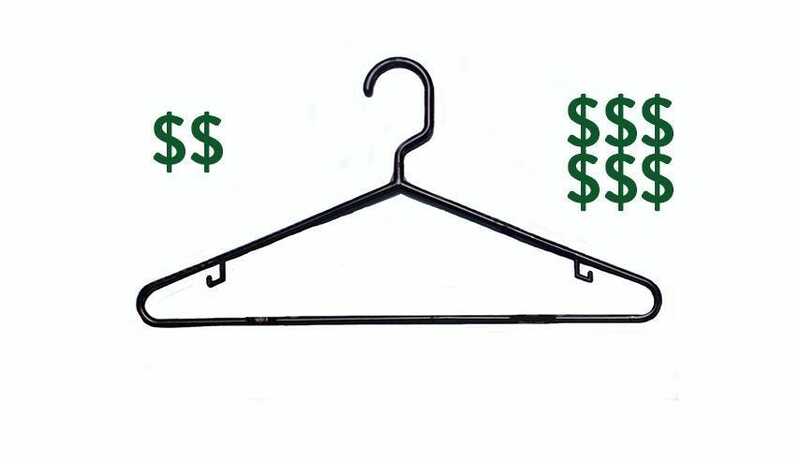 Although it seems counterintuitive, oftentimes making the choice to splurge on higher-priced clothing actually ends up saving you more money than if you were to purchase a cheap, low-quality garment. 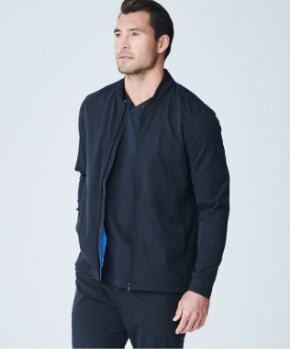 When you spend your entire work week wearing the same uniform, it makes more financial sense to invest in high-quality garments that are both durable and timelessly stylish. The payoff of spending a few extra dollars on your apparel is an increase in your personal comfort and confidence, as well as net savings in both time and money. 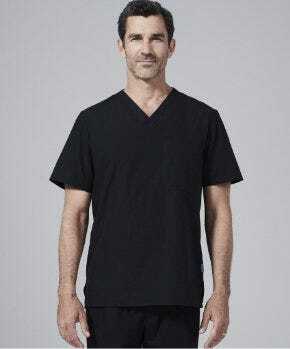 Many lab coats and scrubs on the market are mass produced, made of flimsy material in unisex styles that are neither comfortable nor flattering for the wearer. 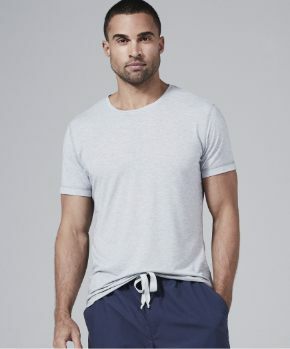 Medical professionals who buy these garments justify their purchase because of the lower price tag, but they fail to take into account how such cheaply manufactured garments affect their day-to-day performance. What you wear at work is a reflection of how you perceive yourself professionally. The fact is that when you wear ill-fitting uniforms that are shabby and obviously cheap, you could be unintentionally sending the message to your colleagues and patients that your work is of similarly poor quality. Whether or not this truly is the case, when you invest in workwear that costs a little more but is created with superior fabrics and a tailored fit, you are projecting to the world an image of enhanced professionalism and self confidence. Far from wasteful, an investment in what you wear to work goes a long way in maximizing your personal identity and comfort. 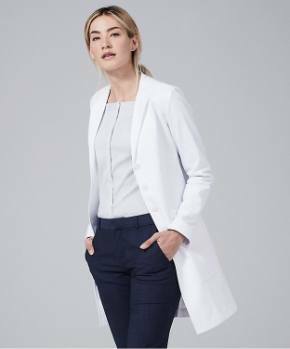 Opting for a high-end, high-quality uniform is a practical decision because it deeply affects how you are perceived by your professional network, your patients, and most importantly - yourself. When it comes to your career, you can't afford to cut corners. Spending more on a quality work uniform that exudes professionalism should never be considered an "impulse buy". 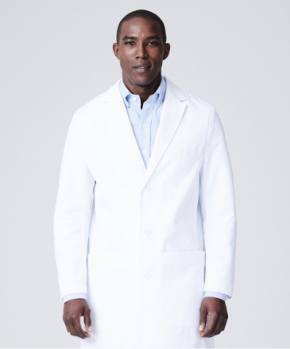 In terms of utility, paying $150 on a lab coat that will last you five years will cost you at least $100 less than if you were to pay $50 for a lab coat that will only last you a year. It's also important to consider the time you're saving when you don't have to spend precious hours going out to purchase a new lab coat or set of scrubs year after year. Doing research on the materials used, manufacturing process, and company background can give you important insights to ensure that you are buying a high-quality garment.